Mirage pools prides ourselves in providing a comfortable & fun showroom that you can bring a “WOW” experience to your whole family. Whether you’re looking for technical advice, water testing or to shop for toys/accessories; we want you to feel comfortable in coming down and ask any questions about your pool/spa. We pride ourselves in our ability for our staff to deliver an enjoyable experience, every visit. Our goal is to be your preferred designation for all things pool/spa. 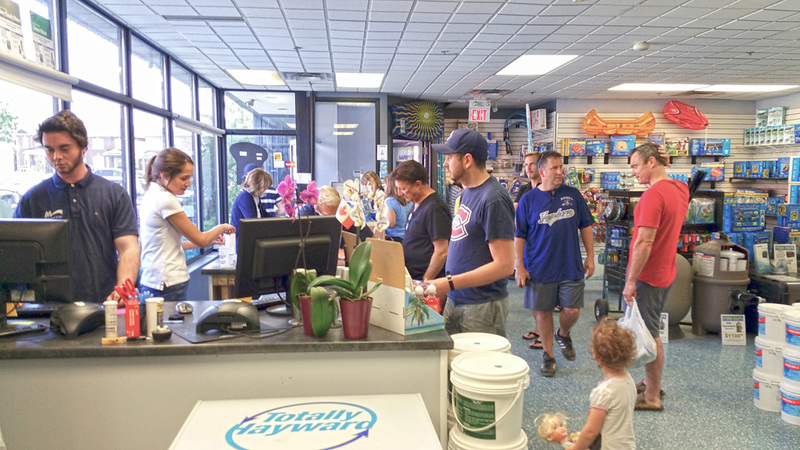 We also encourage you to bring all members of your family down to the pool store, make sure you bring the little ones down to have a treat. 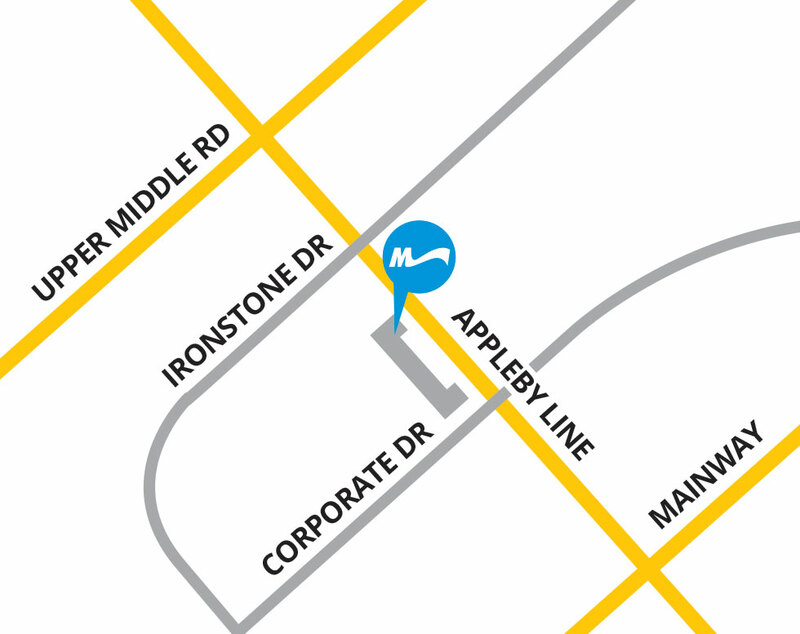 Our showroom has a large selection in-stock but can special order most things if we do not carry. Give us a try and experience the difference. We hope to see you soon. We offer complimentary water testing. Bring a water sample into our store and we will set up a customer profile and will professionally test and track your chemical results. We use a state-of-the-art water lab known as the Spin Lab that delivers the most accurate and consistent water testing results available. 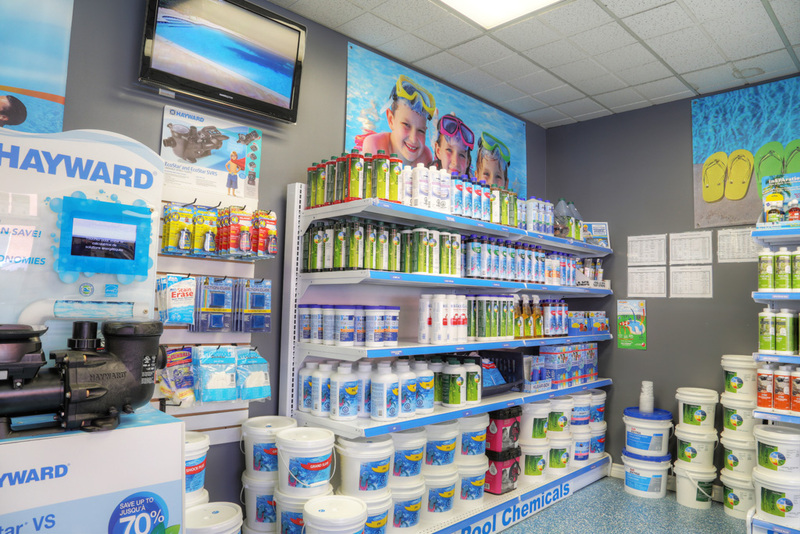 Once we have tested your pool/spa water we can guide you through the right chemicals to add to make you aquatic experience the safety, easiest and most enjoyable. We offer a full line of chemicals for both pools and spas by SaniMarc. Whether you’re looking for sanitizers, balancers or special at need products; we will help you selected the right products to get your pool balanced as fast as possible. We also pride ourselves on not over-selling our customers. Mirage Pools offers a full line of industry leader pool equipment. 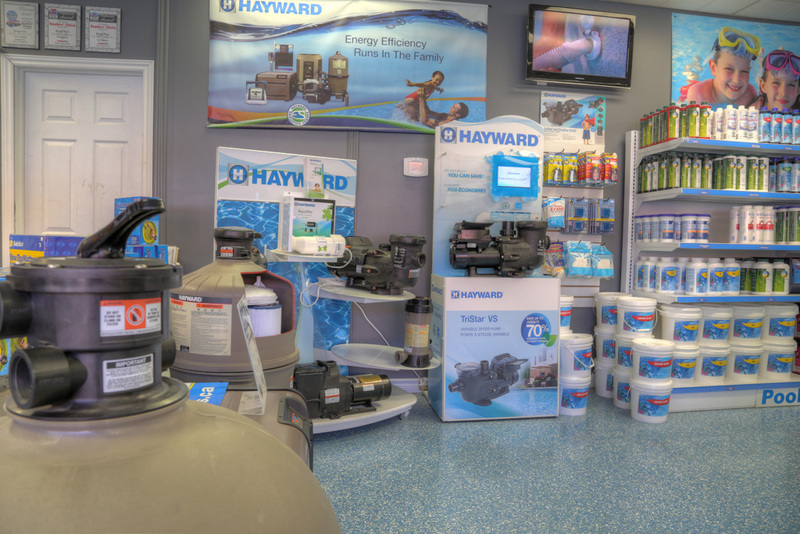 We are a Totally Hayward preferred dealer of: Pumps, filters, heaters, salt systems, automation panels & cleaners. We will help answer all your tough questions about replacement pool equipment such as Energy efficiency. We can also source any pool equipment that is available from our vast supplier network. Are you looking to do some D.I.Y. repairs? 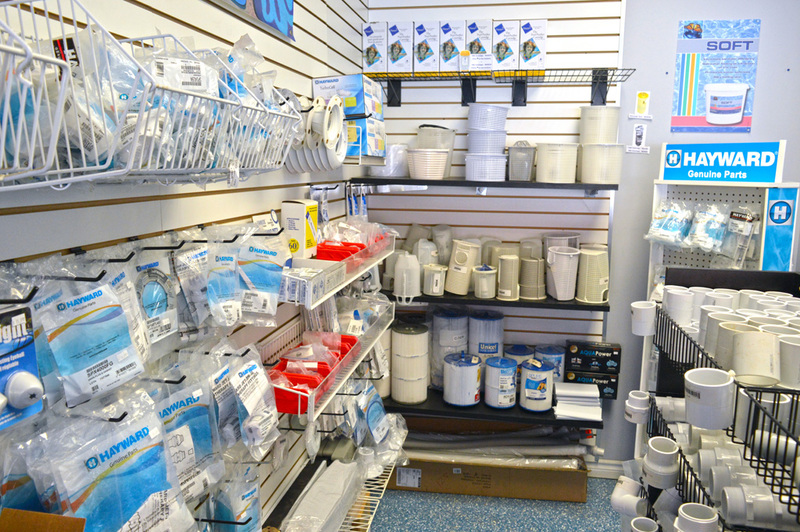 We stock a large variety of parts for all types of pool equipment and manufacturers. If we do not have your part in stock we will help you find it to our supplier network or help you find it elsewhere for unable to get it for you. We offer a variety of maintenance accessories for both pools and spas (such as poles, vacuum heads, brushes and heavy duty back-wash hoses). 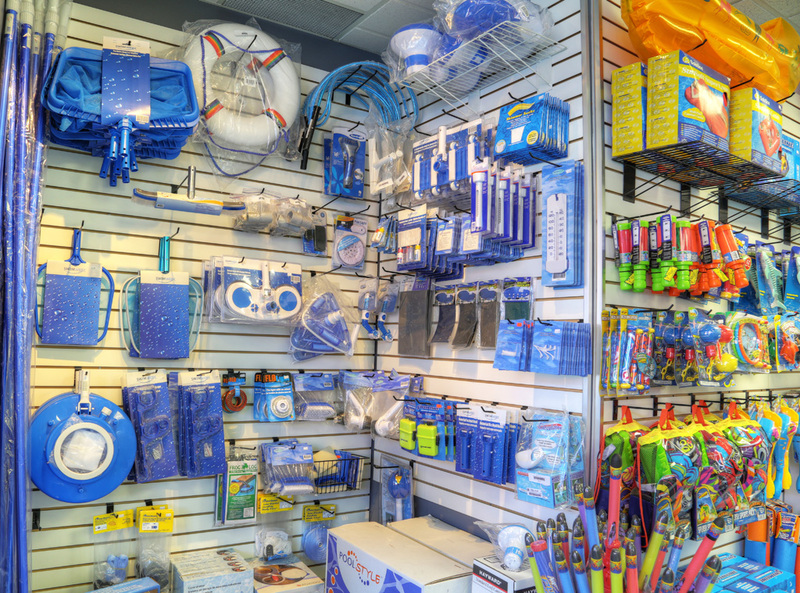 We offer a large selection of toys, games and fun things to maximize your family’s backyard experience. 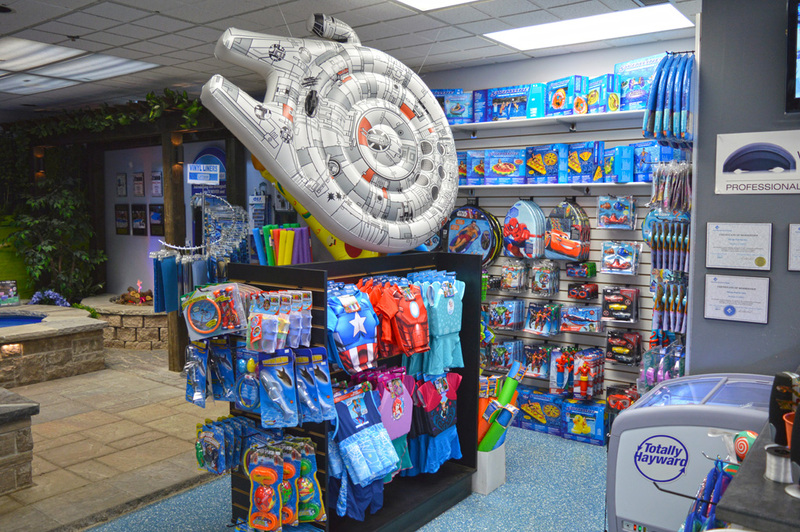 Bring your kids down and view a large selection of branded toys from names like Disney, Star Wars & Marvel.